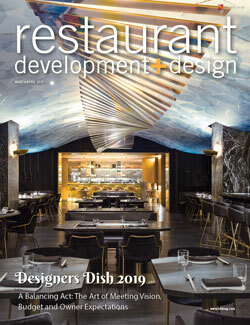 Would you like to receive restaurant design digest - A monthly digital companion to rd+d magazine for restaurant development, design and construction professionals. Each edition features a new restaurant profile, industry buzz, chain development news and trends as well as interviews with key influencers and coverage of other topics related to restaurant development and design. Would you like to receive Design Showcase - A monthly digital companion to rd+d magazine delivering to you a selection of new products used in restaurant design and construction. Each edition features different solutions in building material, furnishing, equipment, technology and more.